Alhamdulillah, a reminder for myself always that any time we ask for permission to move towards haqqayiq and realities, realities of the self: who knows himself, will know his Lord from the holy hadith of Prophet sallallahu alayhi wa sallam, that it requires patience. And that patience, from what we don’t understand or our knowledge is incomplete, not to become confused but to have patience and meditate and contemplate. Allah ‘Azza wa Jal describes that all realities of samawati wal ard are known to the people of mutafakkirun; they tafakkur, they contemplate. That nothing will be from just the eyes; that you see it and you understood it, but to use all of the elements to bring that reality for our lives and to make that what we heard to be real for us. We were talking yesterday about ‘ilm ul yaqeen, ‘ayn al yaqeen, and haqq ul yaqeen. Reminder always that ‘ilm ul yaqeen is a knowledge, but a knowledge based on taste. Whether you read the knowledge and you accompanied the teachers of knowledge, what they want for us is to have real knowledge conveyed by people who are real. And they experience that knowledge and it is upon their soul. They talk to you from their soul and not from their mind. And an example that we gave is an example in our lives. That it has to be real for the person speaking, not just from books. You can read a book and any book you like, but the mutafakkirun and the people of tafakkur, they have to take that, meditate and contemplate on that and it has to become something real for them. Otherwise you’re not able to convey and in Naqshbandiya, not allowed to convey that which you haven’t tasted, because it’s not real for you, although it’s a reality. One example to understand that is somebody giving you a brochure for Hawaii. And we talked about that example the other day. Somebody sends you a brochure, says, “Yes, here’s this beautiful island of Hawaii. The hotel is like this, the sands are beautiful and white, the ocean is beautiful and green and the restaurants are like this,” he’s reading the brochure and he’s never been to Hawaii. So he’s reading this brochure to you to sell you the package to go there, which he has never gone there. Why he’s selling you the package for somewhere he has never gone? That’s one. That’s the understanding because in basic English we can understand it. As soon as you turn it into Islamic terminology, people will get confused. So you’re now selling me a package that you haven’t gone. “Yeah, yeah, it doesn’t matter. What’s the difference, the sand is beautiful sand. I see the picture, you’ll see that picture when you go there. The ocean is very beautiful. The hotels look marvelous.” And they sell you on that package, having never gone. For somebody who has gone to a place, immediately he goes into the ocean and finds, hey, this sand that you showed, inside the ocean is all jagged coral. Because Hawaii is known for their jagged coral, that many people go in and they cut all their feet. Many people who surf on those waves, when they have an accident, they can become all cut up. They become shredded and they call it shredding. But you had to have been in that ocean to have understood: there’s something in that ocean that’s dangerous. There’s something of other realities in that ocean that’s not visible from the picture that you are seeing. And the people of haqqayiq, means Allah ‘Azza wa Jal took them to that sand and they looked. Allah took them to the ocean and they went in. And in the ocean they discovered what’s happening in that ocean. They understood those are corals, there’s danger, there’s jewels, there’s gems. Means that their life is based on experience. 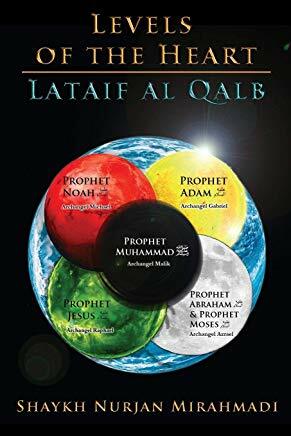 If you’re selling me a package and a brochure, and reading something and reading it to me by translating it, but you have not yet tasted it and made it to be real for you, that’s not the ‘ilm ul yaqeen (knowledge of certainty) that they’re talking about. 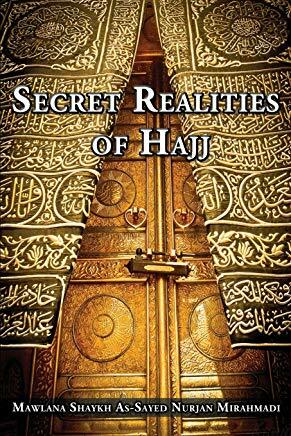 ‘Ilm ul yaqeen is to take these realities, these loves, the shari’a, tariqa, ma’rifa, haqqiqa, all these levels of this reality, is then to make this real for ourselves. So we take a knowledge and we begin to take a path of tafakkur. That, ‘ya Rabbi, I want from these ‘ilm ul yaqeen and I want to be taught from the people of yaqeen’, the people of inner certainty. That the knowledge they convey is not a knowledge that they read. But some of them, you may even find them to be ummi: they are not read people, they are not professionally trained in schools. Means even more a sign, the knowledge that comes is coming from the knowledge of the heart, that: that ‘ilm that they convey to you is not something that they read but Allah ‘Azza wa Jal put them through to taste from that understanding and it became a yaqeen and a truth for them. As soon as they took the knowledge and they took a path of tafakkur and contemplate, and they begin all their lives to sit and contemplate, and contemplate. And they make a room like a qabr (grave), what we talked before. They cut the lights, they put a candle and they begin to take a way of meditation. And they begin to know all of their defects and all of their characteristics. Only through all that struggling and striving against themselves, then Allah ‘Azza wa Jal begins to open, that when they have sincerity, Allah ‘Azza wa Jal begins to open upon their heart. They begin to hear what people can’t hear, they begin to see what people can’t see; they begin to feel and taste and smell what people can’t. And all of these are from hadith. These are not from people making up cuckoo stories. This is holy hadith of Prophet sallallahu alayhi wa sallam. That hearing is an eternal hearing; it goes with you to the grave, goes with you to aakhirah that your soul is an open soul. Don’t say ‘I’ll be your ears’ but ‘I’ll be your sifat of hearing. I will dress you from My Sami’ (The All Hearing), that you’ll hear from My attributes, you’ll see from My attributes. You’ll feel and taste and breathe from My Attributes. My Hand upon your hand. 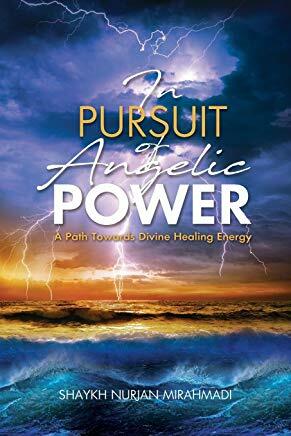 Your hand will have power. My Feet upon your feet. 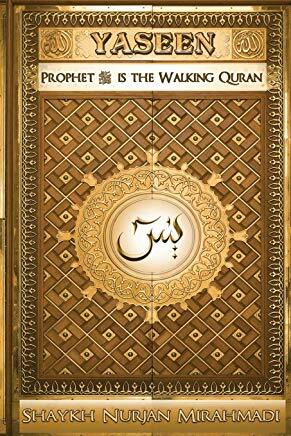 (My feet means) the feet of Prophet sallallahu alayhi wa sallam”. Allah ‘Azza wa Jal has no hands and no feet. That dress is the dress upon Sayyiduna Muhammad sallallahu alayhi wa sallam. Means that Prophet sallallahu alayhi wa sallam’s madad and support, support us and dress us. That becomes ‘ayn al yaqeen. That the knowledges that you are being fed are from the people of ‘ilm ul yaqeen. And the knowledges that you are taking and beginning to train yourself with tafakkur to open the ‘ayn, open the eye of the heart. Sifat al-‘Aleem, Allah’s ancient Knowledges, so that to dress you and bless you, “No doubt your soul will be open but what I’m going to grant you of yaqeen, from this ancient ‘Ayn ع ,” that all knowledges and all realities coming from that sifat. If Allah ‘Azza wa Jal begin to dress you from that ‘Ayn, means He’s taking you to become from ibadullah عِبَادَ الله , ‘cause you’ve been in training of rijalullah. You cannot be from rijalullah رِجَالَ الله if you are not sitting in zikr; you’re sitting at home you are wasting your time. If you are going from place to place looking for some authority in dunya, you are wasting your time. Look for the authority with Allah ‘Azza wa Jal. 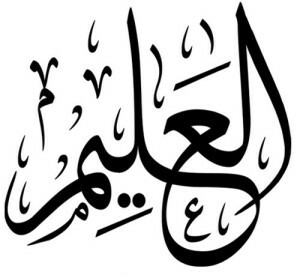 The olul amr, they are the people who are under Allah ‘Azza wa Jal’s amr. They are taking commands from Allah ‘Azza wa Jal through the heart of Sayyiduna Muhammad sallallahu alayhi wa sallam: ateeullah attee ar Rasul wa Olul amri minkum. Means then they teach us: then seek those, seek those who, their knowledge is real knowledge. Their hearts are open, their souls are open means they are training you now to be from rijalullah. Because when we’re asking, ‘Ya rijalullah, ya ibaadullah, ya ibaadullah, ya rijalullah’, ‘ya raijanullah’ they are the ones training. They are waiting for their covenant from Allah ‘Azza wa Jal. They’re waiting to fulfill their covenant from Allah ‘Azza wa Jal ‘cause they have to work. They have to live in dunya. They’re not hidden in the mountains. Those are a different class of awliya. That they are among people. They are doing their trade, they’re doing their work, they’re doing everything they had to do just like Sahabi (companions of prophet (saws): they had to work, they had to earn, they had to do what they have to do but it didn’t distract them from the remembrance of their Lord and they are waiting for Allah ‘Azza wa Jal’s approval. If Allah ‘Azza wa Jal grant them mawt qabl al mawt that, “You are like a dead one in dunya but you are alive with Us, in Our Divinely Presence”. ‘Abd عبد (servant) is not a slave like in dunya: you buy them and release them and use them and abuse them. ‘Abd عبد is someone whom Allah ‘Azza wa Jal taking to His Divinely Presence. Dressing them from Ancient Knowledges, throwing their souls into ba ب – Bahr al Qudra. 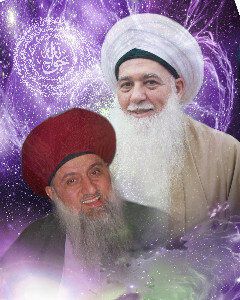 And the dal د that’s giving to them, that they are the dalil دليل , the guides for all of creation. For their time of earth they are a guide and for their time in the heavens, they will be in an eternal position of guidance under the dress and the lights of the Muhammadiyun. Means that’s ‘ilm ul yaqeen, that Allah ‘Azza wa Jal wants us to receive from those knowledges. As they train you to become rijalullah means that you begin to train and train that: “Ya Rabbi, what I’m seeking is not here, not in this physical world but in Your Divinely Presence. I’m going to use my physical world in doing hasanat, wa akhirah hasanat. I want to get to the aakhirah and the realities of aakhirah. I’m going to use my time in dunya to achieve that hasanat of aakhirah, ya Rabbi.” So means then: use your sustenance in that way. Use your time in that way. Use everything that Allah ‘Azza wa Jal has given to you in the way of becoming from rijalullah, the men of Allah ‘Azza wa Jal, those whom Allah ‘Azza wa Jal is pleased with. When Allah ‘Azza wa Jal, is pleased with that servant, He begins to dress that servant with sincerity. When they train and learn how to block out the dunya (material world) and open up the aakhirah (hereafter), open their heart, then Allah ‘Azza wa Jal begin to dress them from haq yaqeen– the certainty of haq (truth). And brick by brick, this haq begins to open because they begin to have visions. They begin to hear the realities, see the reality, taste the reality. It is a haq for them. Then he asked that Allah ‘Azza wa Jal described: “I created the heavens and the earth in haq.” So then they take you into haq. If Allah ‘Azza wa Jal going to open for you haq (truth), they begin to train you in the way of ma’rifa, that when you say ‘Allahu Haq’, no doubt ‘Allah ‘Azza wa Jal, Allahu Haq’. But they want to go deep into that reality that Allah ‘Azza wa Jal for us, beyond contemplation. Don’t look to the whereness, the howness and the whyness of Allah ‘Azza wa Jal– not for us! Allah ‘Azza wa Jal is Owner of the attributes, is a description of attributes for the Divine, but by means of those Divines, you can never attribute them to Allah ‘Azza wa Jal. You can’t say ‘Allah is Hay’ because we are people of life and death. Allah ‘Azza wa Jal’s not in the ocean of life and death; but it’s a description; that the Ever-Living and everything that’s ever-living coming from the Creator. So they said ‘Don’t go there; don’t try to figure out and to understand Allah ‘Azza wa Jal’. 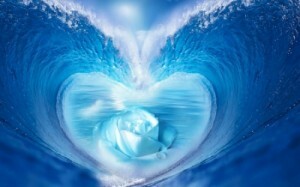 What Allah ‘Azza wa Jal wants from us is then they teach you to go into that haq; go into that ocean of creation. Learn the oceans of realities that: ya Rabbi, who knows himself will know his Lord. 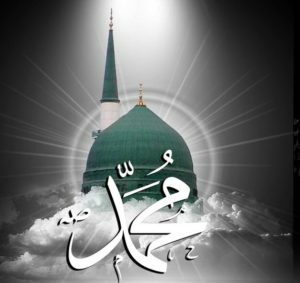 As soon as I go into myself, I want to know that my soul and my light coming from Muhammadun RasulAllah sallallahu alayhi wa sallam. That soul is the soul of haq. That reality and light is the haq of Allah ‘Azza wa Jal. That is the truth of Allah ‘Azza wa Jal ‘cause la sharik: there’s no place that you can go to see Allah ‘Azza wa Jal. When Allah ‘Azza wa Jal wants us to see is look to Muhammadun RasolAllah sallallahu alayhi wa sallam. 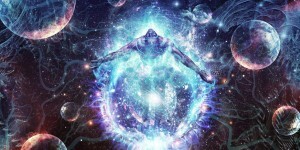 From one soul all creation is coming. All the samawati wal ard has been created by this haq حق and it is hay حي (ever-living). Not like your dunya, where everything comes and goes and destroyed and dead. And Allah wants us to always see it by the seasons. See there’s all these are green, a few months later all of them are dead. “Don’t put your love in that which is perishing, but My heavens and your malakut, the origin of your light, it’s hay حي (ever-living).” And because it’s hay , Allah ‘Azza wa Jal is supporting its life by giving it to be qayyum قيوم . Its sustenance is coming from Allah ‘Azza wa Jal. Means that greater haq and the reality of that soul that is encompassing everything it’s haq. From the drop, Allah ‘Azza wa Jal gives to your soul to be haq. Your soul is alive; it’s hayyul qayyum. You don’t feed your soul and there’s nobody that can starve your soul. Its sustenance comes from Allah ‘Azza wa Jal. Means that’s the haq yaqeen that they want to take us: is that these knowledges are your hearing, are they going to take you to that destination or they’re wasting your time? The political understanding of Islam is for what? What is it going to do for your soul and is it going to take you any closer to haq? Is it going to open up the reality of al Hayyat and to be from the servants of al Hayyat? Where Nabi Musa alayhis salaam wanted to meet one of those Muhammadan servants. And the sign from the two rivers were the fish came to life: the dead fish for lunch came to life.. Ajaba, that is came to life and jumped into the water and that was the sign of al-Hayyat. And if Allah ‘Azza wa Jal dressed us from al-Hayyat, begin to dress us from al-Qayyum and that that soul is sustained by Allah ‘Azza wa Jal. If we can reach towards the reality of eternity means then we achieved what Allah ‘Azza wa Jal wanted us to achieve in this material world. That we waste out time in accounting, in law, in this and that, everything that we’re doing and think that we are accomplishing something and building something, and all of it is an illusion. You do what you have to do to pay your bills but at night, Imam Ali said, “As if the world is coming to an end; in the morning as if it’s going to be forever.” Work hard, but at night, struggling with our self, our zikr, our awrad and our practices, our tafakkur, our contemplation. As much as we can, to come to zikr and to majlis an-Nabi sallallahu alayhi wa sallam, for the love of Sayyiduna Muhammad sallallahu alayhi wa sallam, to cleanse and to purify and to be taught from ‘ilm ul-yaqeen. To be trained in ‘ayn al-yaqeen so that Allah ‘Azza wa Jal dress us from that Sifat al-‘Aleem. And then from that, Allah ‘Azza wa Jal dress us from the haq yaqeen, that to reach certainty. We pray that Allah ‘Azza wa Jal dress us from these lights, bless us from these lights; and next few months, the opening of the holy month of Rajab, holy month of Sha’ban and the holy month of Ramadaan. We pray that Allah ‘Azza wa Jal give us life to see those months and give us the himmah (zeal) to accomplish what needs to be accomplished for our soul.